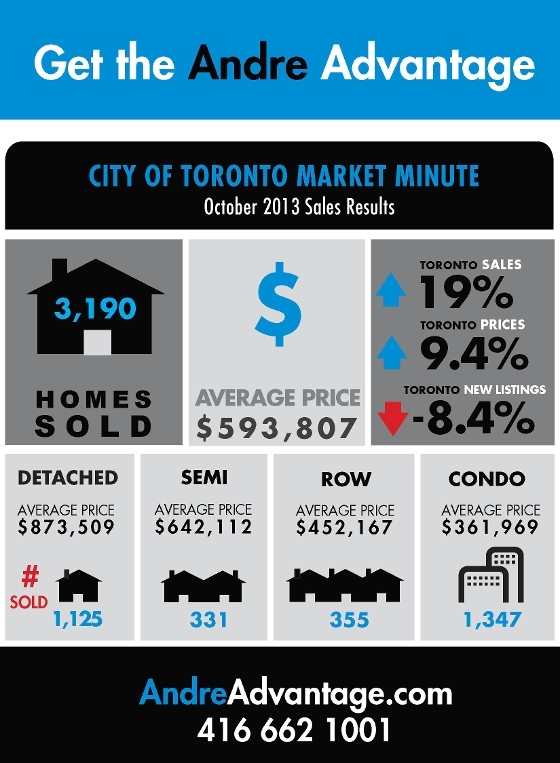 October was another strong month for real estate sales in Toronto. Sales were up 19% and the average price of a home in the City increased by 9.3% to $593,807. We keep getting closer to an average price of $600,000, which is really leaving condos as the main housing option for many first time buyers. With the majority of downtown neighbhourhoods experiencing low levels of inventory (new listings dropped by 8.4%), and low interest rates, which the Bank of Canada has now indicated won't be going up anytime soon, prices remain strong.